This treat is a sweet and fun candy for vending in candy machines. The coating has a nicely finished sheen and they become powdery when you crunch into them. They are shaped to resemble cute little 3 dimensional fish. 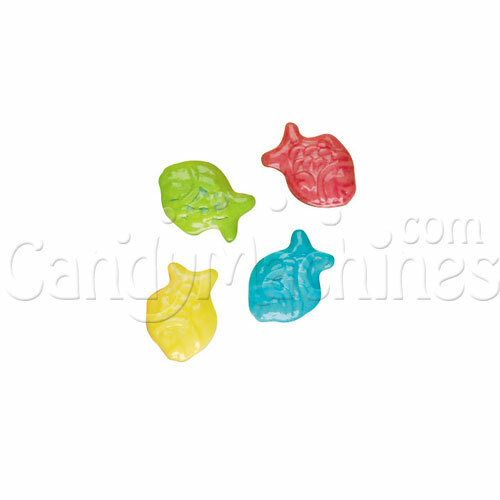 Detailed with fish scales, fins, and faces, candies like these will always make a great catch! This mix comes with Banana (Yellow), Orange (Orange), Cherry (Red), Lemon Lime (Green), and Grape (Blue). 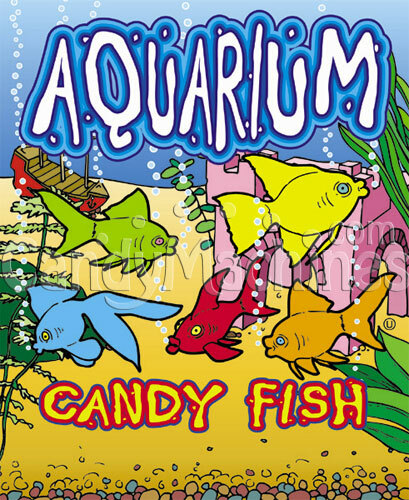 Their rich and vibrant colors will be an attraction in any candy vending machine. 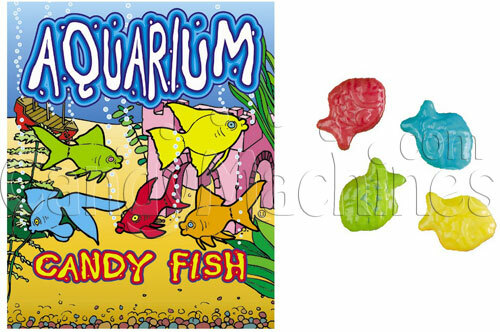 Need a machine to vend these aquarium fish candies? Be sure to see our full line of candy vending machines. I am glad there is one fish out there I will eat. These candies taste great!